Build Your Own Cheese & Charcuterie Board! Creating a winning cheese and charcuterie board may seem like a challenge, but it shouldn’t be. It’s actually pretty easy, but to pull together a mouthwatering selection of goodies with a minimum of fuss, you’ll need a strategy. Follow our simple guidelines and you can’t go wrong! It’s easy to get carried away when browsing the cheese selections, whether you’re shopping online, or at your local deli. Don’t be tempted to serve too many cheeses at a time. Four or five are plenty – any more than that will just make things too complicated for most palates. Variety is essential. 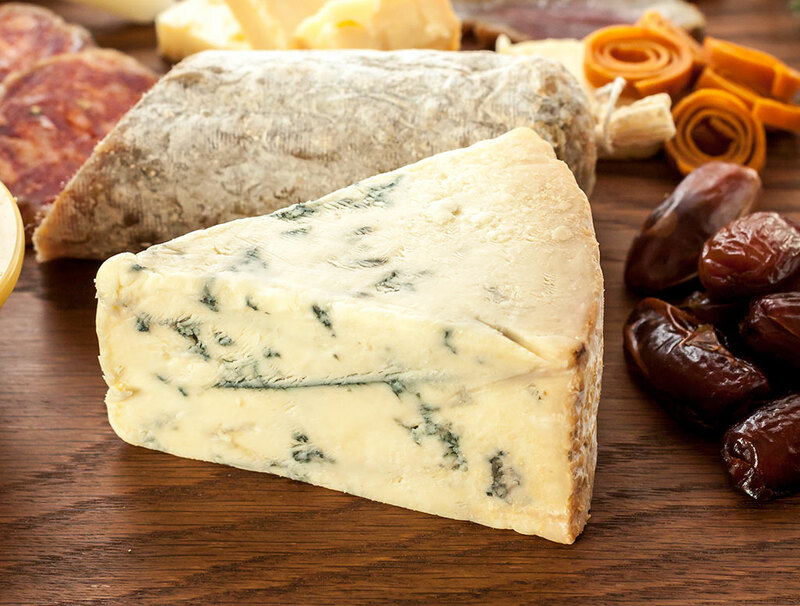 Choose cheeses with a range of different tastes, textures and appearances. For example, a sharp aged cheese, such as a farmstead Cheddar, a soft, creamy cheese like a Brie or Camembert, a firmer aged cheese such as Gruyere or Comte, and a rich, tangy cheese like Stilton or Gorgonzola. Contemporary cheesemakers offer a dazzling assortment of new flavors and styles that will please any cheese lover. These days, charcuterie is more popular than ever and a mind-blowing array of sausages and other cured meats are readily available to anyone. As with the cheese selection, variety is key. Try something hard, something soft (like pâté or n’duja) something spicy and maybe something smoky. Updated takes on Old World-style cured meats, such as spicy soppressata, saucisson l’ail or fabulously rich duck prosciutto, are a good bet. 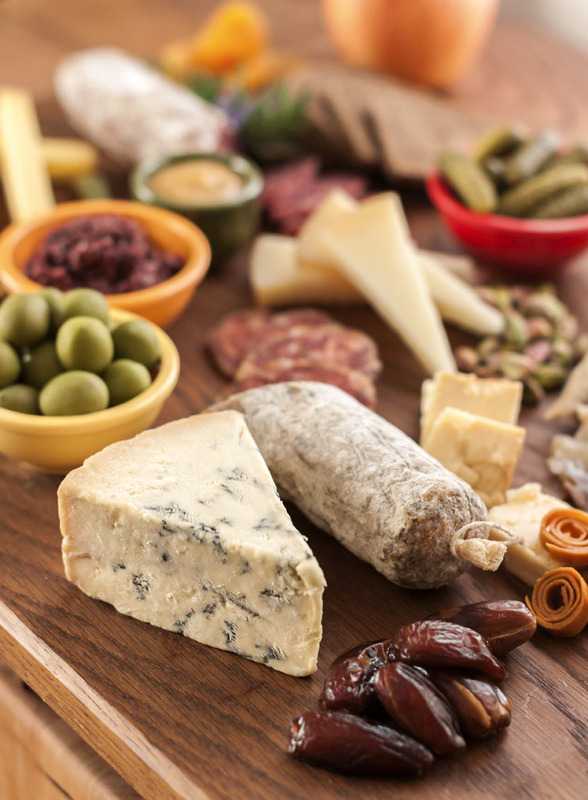 Your cheese and charcuterie selections are only two components of an outstanding board. Pair your selections with complementary or contrasting flavors – sweet, savory, salty or tart. Select a variety of flavors and textures. Condiments, like crisp, crunchy pickles, tangy cured olives and savory roasted piquillo peppers are great accompaniments to both cheeses & cured meats. Select crackers and breads with neutral or complimentary flavors. 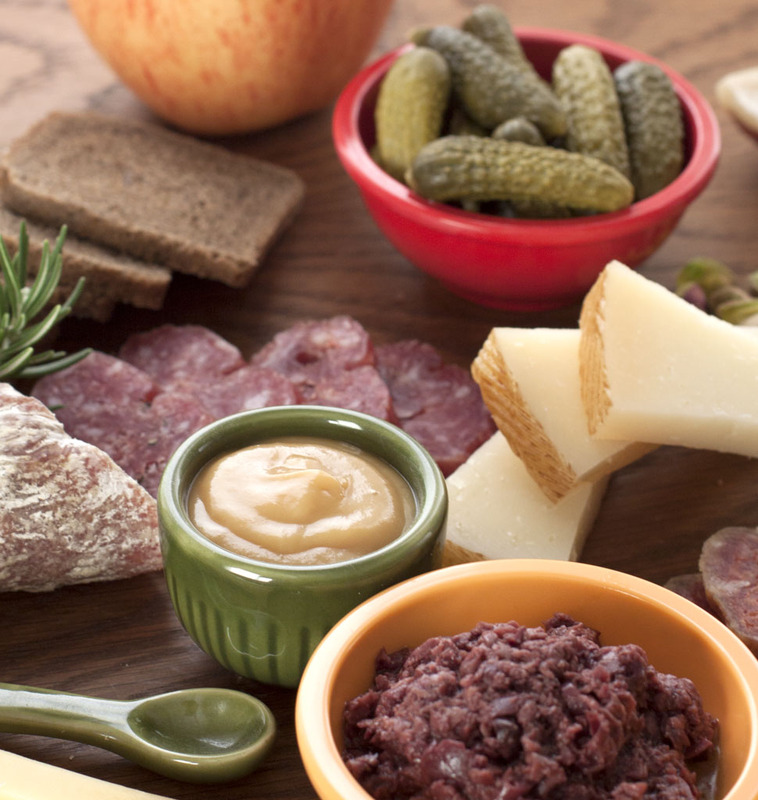 Avoid any strong flavors that would overshadow the flavors of the cheese and charcuterie. You can never go wrong with the classic sliced baguette. Fruit and cheese are natural companions. Things like apples, pears and grapes are the typical accompaniments, but don’t forget the dried fruits, like apricots, dates and figs. Nuts are great with both cheese and cured meats. Pistachios, almonds, hazelnuts and toasted walnuts are all excellent choices. Full-flavored honey, fruit preserves and tangy chutneys can be good matches for cheese. A tangy mustard is a “must” for sausages and other meats! Wine is the usual beverage of choice with cheese & charcuterie, but a selection of premium beers is equally appropriate. Don’t be intimidated when trying to “pair” the right combinations of food, beer and wine. Just offer a good selection of quality beer and wine and you can’t go wrong. Don’t crowd your board! Use a serving tray big enough to keep everything separated. Pick an interesting serving board with a pleasing rustic look or line it with grape or chestnut leaves for a contrast of color and texture. Unwrap the cheeses and allow them to come to room temperature for serving. Sausage and other charcuterie is easier to slice when it’s still cold. Cut it first – then allow it to warm up for maximum flavor. Cheese: Start each cheese by cutting a few pieces, but leave the rest whole so your guests can help themselves. Serve each cheese with its own knife to avoid cross-contamination of flavors. Soft cheeses can be served with a butter knife. Firm cheese should be served with a sharp knife. 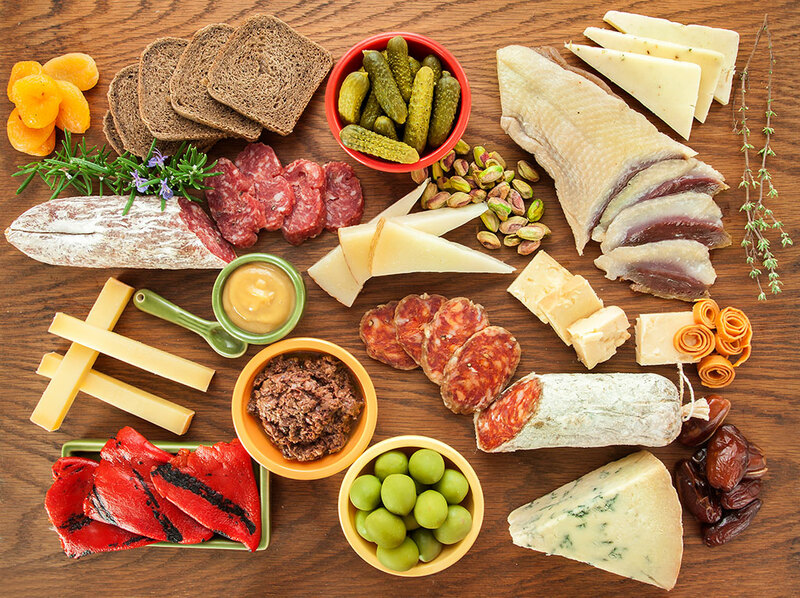 Charcuterie: most cured meats should be sliced into bite-sized pieces in advance for easy sampling. Exceptions to this rule include most pâtés, terrines and other soft, spreadable delicacies. Encourage your guests to talk about the interesting foods that they are tasting. Feel free to discuss the differences in taste, texture and aromas and remember that there are no wrong answers. Everyone will have a favorite, which can lead to some interesting conversations. The thoughtful tasting of anything leads to fuller enjoyment and can reveal hidden nuances of flavor.